After a successful run at bestbet in Jacksonville, the World Poker Tour returns to Florida in November for the $3,500 Seminole Rock ‘N’ Roll Poker Open. While the tour has visited Seminole Hard Rock many times in the past, this is the first time the WPT will be part of the Rock ‘N’ Roll action. The WPT festivities run from November 23-28, and there are also numerous other preliminary events as part of the series. Buy-ins range from $150 to $5,000 with major guarantees. Players won’t want to miss out on the action. 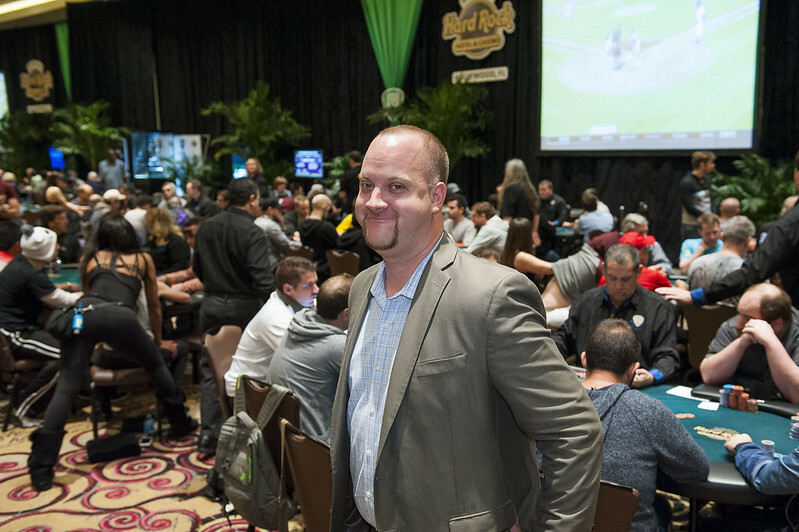 “Year in and year out, the Rock ‘N’ Roll Poker Open has been one of our best poker series,” Seminole Hard Rock Tournament Director Tony Burns (pictured) said. Burns points to 2016 as an example, when the series-opening $360 buy-in event featuring $1 million guarantee drew more than 5,000 entries. 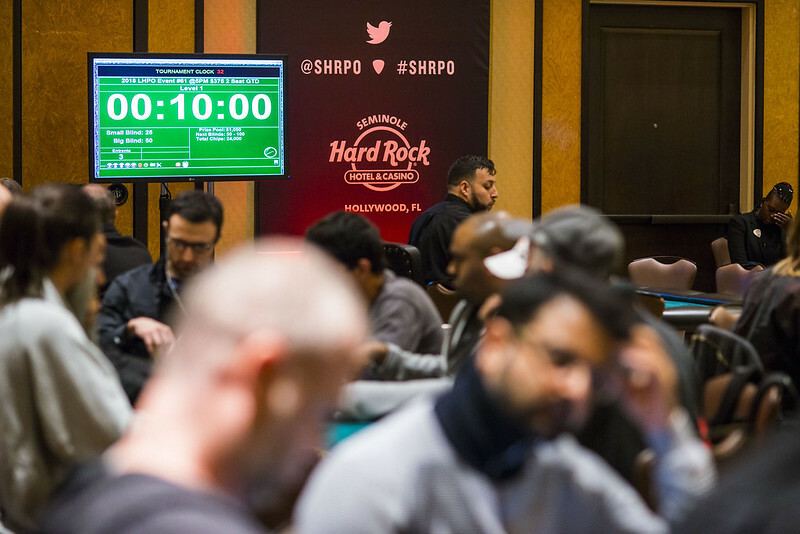 It became the largest poker tournament in Florida history. “That benchmark stands to this day and we’re eager to get cards in the air for this year’s series,” Burns added. With something for every bankroll, Seminole Hard Rock offers plenty of bang for the buck. The series kicks off in style on November 14 with a $360 event that features eight starting flights over four days and a whopping $1 million guarantee. Mixed game fans will also want to be onsite beginning on November 14 with four $360 tournaments in a row featuring Omaha Hi-Lo, H.O.R.S.E., PLO, and Big O. The one-day events should bring in plenty of players and offer a nice first-place prize. Another highlight comes on November 18 with a single-day $1,100 No Limit Hold’em (Re-Entry) event with a $100,000 guarantee. The same day is a $360 Black Chip Bounty event with a $30,000 guarantee. The major guarantees continue a day later with $500,000 up for grabs in the $570 Deep Stack No Limit Hold’em (Re-Entry). With four starting flights, it should make for quite an event. The $3,500 WPT Championship event begins on November 23, and there are also a few other higher stakes highlights for players including the $1,650 Deep Stack Purple Chip Bounty event on November 25 with a $100,000 guarantee. On November 26, check out two big events: the $5,000 Eight-handed No Limit Hold’em (Re-Entry) for $250,000 guaranteed; and a $2,000 PLO event. The $1,100 Turbo one-day re-entry closes out the series on November 27. If your bankroll is a little smaller, there are also some lower buy-in events sprinkled throughout the series. That includes a $150 No Limit Hold’em re-entry event scheduled to begin on Nov 26. The tournament features six starting flights over two days and a massive $100,000 guaranteed prize pool – quite a haul for such a low buy-in. There are numerous $360 events on the schedule including: PLO 8, Nov 19; Mixed Omaha, Nov 20; and Six-Max No Limit Hold’em, Nov 20 All are one-day events. Another highlight is the popular $360 Seniors No Limit Hold’em re-entry, a single-day event for players over 50. Looking to get into one of those higher buy-in events? There are satellite and mega satellites going on throughout the series, with buy-ins ranging from $80 to $550. Players will have plenty of opportunities to parlay a small satellite buy-in to a real shot at some big money. That includes the WPT Championship, with $390 satellites and mega satellites beginning on Nov 21 and running through Nov 24. That’s not the only way to earn an entry, however. The property’s tournament promotions include its signature “Win a Seat” program. Players can visit HardRockPoker.com and enter for a chance at a $3,500 entry into the WPT Championship. For the entire tournament schedule, click here. Players won’t be disappointed and Seminole Hard Rock offers plenty of atmosphere. Beyond poker, the casino offers plenty of table games from craps to blackjack to slot machines. Beach Club Bar & Grill – This eatery is located in a rock mountain in the center of the 4.5-acre tropical lagoon-style pool, and serves up some cool cocktails, tasty dishes right off the grill, tasty appetizers, and more. Blue Plate – For some classic American cuisine from pizza and sandwiches to soups and salads to amazing breakfast dishes. Hard Rock Cafe – What trip to Seminole would be complete without a trip to the signature Hard Rock Cafe? Grab a burger and check out some live music – a fitting night for a rock ‘n’ roll event. Several other options are available including the food court for a quick bite to eat before heading back to the tournament or a cash game. There are numerous entertainment options at the hard rock. For some drinks with friends, have a seat at one of several bars including Council Oak for great live music. The casino also hosts major touring acts and events – there’s something for everyone. When it comes to a night’s stay, relax like a rock star in one of 469 luxury, music-themed guest rooms, and suites. The well-appointed rooms have what players have come to expect – comfortable beds and sheets, big-screen TVs, large and lavish bathrooms, and much more. Players can also enjoy a soothing massage and treatment in the spa during their stay. Players won’t want to miss this chance to rock out with the WPT. Make that hotel reservation now. Hotel rates during the RRPO start at $149 on weekdays and $199 on weekends. For more information on the series, click here.